Bradley Cooper and Lady Gaga in "A Star is Born"
Poignant and honest, Bradley Cooper’s A Star Is Born embraces the messy complexities of life and love. 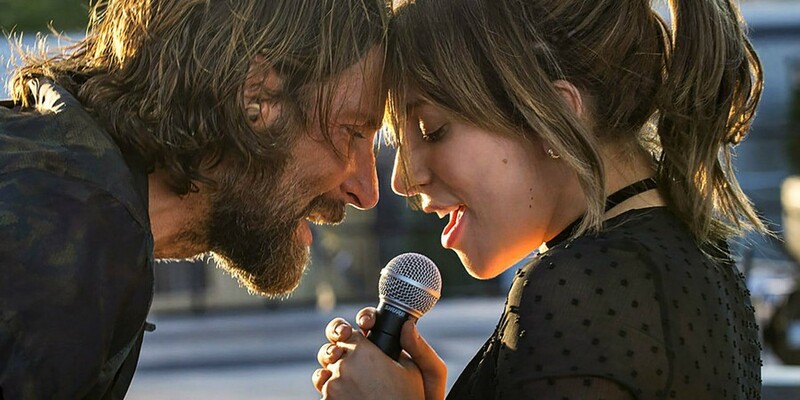 While the film revolves around the development of the relationship between Ally (Lady Gaga), an aspiring singer, and Jack (Bradley Cooper), a veteran musician, it doesn’t fit the mold of the typical romantic drama. What makes A Star Is Born unique is that the primary conflict is not derived from the relationship that seems to take center stage. Ally and Jack are arguably perfect for each other and appear to share a deep understanding of one another that not even the audience can fully understand. At the same time, their relationship is not without discord. But the tension is not brought about by a clash between the two characters’ personalities. Rather, it emerges from the overwhelming self-doubt and myriad insecurities that each experiences individually. A Star Is Born is not a “feel good” movie. It highlights the cyclical nature of human failings and is unrelenting in its juxtaposition of happiness and misery. Jack attempts to achieve sobriety again and again, each time falling back into the comfortable arms of alcoholism and drug addiction. Ally attempts to advance her career, but is repeatedly held back by her attachment to Jack, despite his failure to adequately support her in her ambitions. While Jack’s periods of sobriety are heartwarming at times, they begin to lose their magic as the film progresses. The audience begins to feel that lasting change is impossible. The contrast of pain and optimism portrayed by Lady Gaga as Ally is truly a marvel, showing resilience and determination in the face of unrelenting hardship. Cooper’s performance as Jack tragically depicts the other end of the spectrum. Jack is desperate to do right by the people he cares about most, but constantly falls short. Both deliver performances that are nothing short of remarkable, especially considering Lady Gaga’s limited acting experience and Cooper’s heretofore hidden musical talent. Even if some viewers might not find the story and characters fully engaging, most will agree that the concert scenes and musical performances are truly spectacular. Even without the powerful vocals of Lady Gaga and (surprisingly) Cooper, the overall cinematography (particularly for the musical scenes) is stunning. The use of lighting creates a sense of cinematic depth that transports the audience into the arena, as though you’re watching the concert from the stage itself. Such scenes help to break up the slow-moving plot and reenergize the audience as the tone of the movie grows heavier. Grounded in its solid performances, the film finds its major issues in a few careless editing choices. With a runtime of approximately two hours and 15 minutes, this movie is long by Hollywood standards. However, certain scenes suggest that there may have been a longer, more complete version of this movie that was pared down, ultimately to the film’s detriment. At one point, towards the end of the film, we meet George (Dave Chappelle), for whom the audience is given little to no backstory, despite his role in a crucial scene. There is some suggestion that he’s known Jack for a long time, but his presence in the film feels jarring. Additionally, several other scenes feel like they were cut off before their intended conclusion. These decisions may have been part of the original script or reflective of the director’s vision, but the rest of the film’s coherency suggests otherwise. Nonetheless, when set against the overall power of this film, these issues seem trivial in comparison. Lady Gaga’s compelling theatrical performance and Cooper’s extraordinary musical performance are among the most pleasant surprises of this film. By not relying too heavily upon tragic extremes, the film manages to achieve a universal relatability that highlights the struggle against one’s own flaws and desire to be understood.